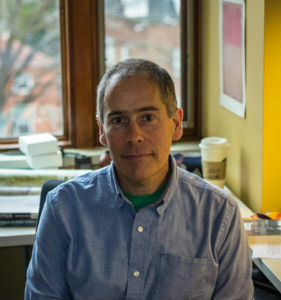 Christian W. McMillen, Professor of History at the University of Virginia and author of Discovering Tuberculosis: A Global History, 1900 to the Present, New Haven and London, Yale University Press, 2015. 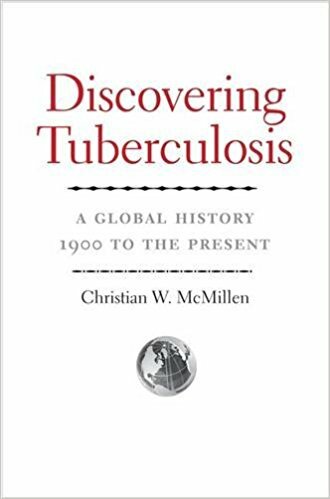 In Discovering Tuberculosis: A Global History, 1900 to the Present, Christian McMillen Professor of History at the University of Virginia explores the global efforts to control the disease. One of the main questions is why there are still millions of people dying from this curable disease in the twenty-first century. In order to answer it, McMillen explores TB and race in Africa, Americas and India in the first half of the twentieth century, explores the issue of drug resistance and discuss the resurgence of TB in the era of HIV/AIDS. In this interview to our blog he said that the greatest challenge is that TB is more a social problem than strictly a medical one and that thinking historically can help in controlling the disease. Why the history of tuberculosis has been a core part of global health during the 20th century? TB has been at the core of global health for two reasons: first, curing TB was at the forefront of the antibiotic revolution of the mid-20th century. Modern medicine’s greatest triumph—the ability to actually cure diseases—was won by tackling tuberculosis. But it’s also been so central because TB kills so many people—it’s quite possible, in fact, that TB has killed more people than any other infectious disease. But as I argue in Discovering Tuberculosis, the antibiotic revolution was not only a great triumph. It was also the source of modern medicine’s hubris and over-confidence. When it was finally within medicine’s power to cure TB, efforts to control the disease through other means were ignored and its control became a technical problem. And so TB is symbolic of the power and the perils of modern biomedicine. From an historical perspective what are the main challenges of tb control in developing countries today? Following on the above, it seems to me that that greatest challenge—and it really is profound—is that TB is more a social problem than strictly a medical problem. While it will come as no surprise to anyone who has thought about the disease, I think it’s safe to say that as long as the conditions that cause to TB to thrive still exist TB will in fact thrive. The greatest challenge, then, is modifying those conditions. 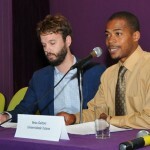 But, considering how challenging that is and how long it would take, it seems that in the meantime the challenges that have existed historically, with regard to TB as a medical problem, still exist today: inadequate infection control; the misguided search for “magic bullets”; the lack of coordination between HIV and TB control; drug regimens that are toxic and time consuming. Of course, there are many people working to combat these challenges. I simply mean to suggest that from a historian’s perspective the landscape does not look much different today than it did a generation ago. 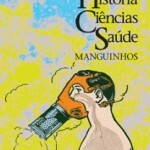 In your book Discovering Tuberculosis: A Global History, 1900 to the Present you suggest that policy makers should think as historians, could you please say more about this idea regarding tuberculosis? As a historian I think everyone should! What I mean is not that policy makers should be historians and do historical research, but that thinking historically might be a good idea. By doing so, it could allow them to identify inefficiencies or to look more carefully at policy proposals to learn, perhaps, if they’ve been tried before and whether or not they’ve worked. It would be useful to know a country’s history with TB control to better understand why something is or is not working or why a given place has more TB than another. At the most basic level, as I discuss in the book, the way TB is managed today is of course a product of a series of historical choices, each emerging out of a given historical context. Take DOTS (Directly Observed Therapy, Short Course). When it became the dominant way of dealing with drug susceptible TB in the mid-1990s it was billed as novel, something not done before. But this was of course not the case: TB workers had been experimenting with watching people take TB drugs for years. It emerged in the 1990s as a major breakthrough not so much because it was novel, but because it was considered cost-effective at a time when such solutions were very appealing. Why might this be important to know? It’s important because to evaluate something like DOTS knowing the context from which it came would allow us to know how and why it was chosen as the single best way to treat TB and to question whether or not that was a wise decision. DOTS was chosen not because it was determined to be, by some neutral, objective measure, demonstrably the best. It was chosen for a variety of reasons that have everything to do with the architects’ motivations and points of view; the global economic context; the emerging dominance of the World Bank in global health matters; the neglect of drug resistant TB and TB/HIV; and the persistent need for “magic bullet” solutions in global health. This is not to say, as I make clear in the book, that DOTS has not worked in some places or cannot work. It’s simply to suggest that understanding the origins of things can help us evaluate their efficacy, their appropriateness, or what have you.